The taste of an ultimate zin: Begins with a sweet toned, harmoniously composed nose of aromas suggesting blueberry jam, blackberry syrup and vanilla pods, with nary an overripe or raisiny note. On the palate, the luscious, vibrant fruit qualities are couched in a moderately full, giving body — mouth-filling without being hard or stiff — and filled to the brim with slightly smoky, dark roasting coffee bean-like spices. Keebler elf-like meticulousness: Hand picked from the family’s oldest, finest, head-trained, own rooted vines, now approaching their 6oth year. 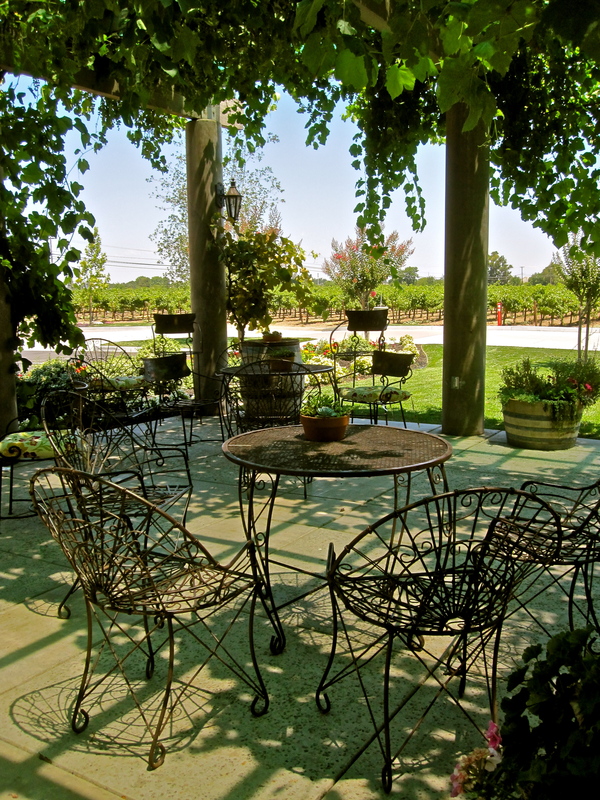 These “bush” vines have matured to the point where their canes and foliage grow in perfect balance with cluster loads; and while each cluster ripens with minimal raisining (in most California vineyards, Zinfandel shows a distinct propensity to ripen unevenly, resulting in clusters consisting of both large and tiny — i.e. “hens and chicks” — sized berries), each bunch is meticulously sorted before going into the fermentor. 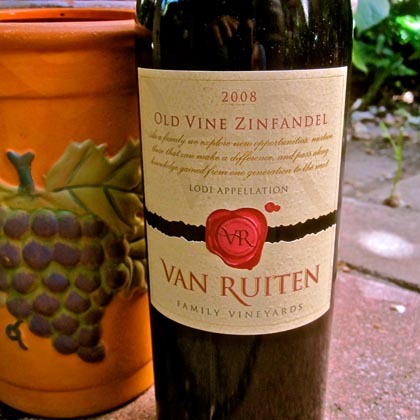 The family that zins together: Audrey Zunino says that the Van Ruiten’s family’s ultimate “comfort food” is her mother Coby Zunino’s “Zinfandel of beef” stew. “She’s been making this stew for years, and it is a favorite of my cousins on their birthdays. We always see more of it once there is a chill in the weather; and you can bet, whenever this stew is on the menu, I wind up back at my parents’ house!” Of course, both the “secret ingredient” and the must-have wine for this stew is the Van Ruiten Family Old Vine Zinfandel. Browning the meat: dry the meat thoroughly (damp meat will not brown). Add a ¼ inch of oil to the bottom of a Dutch oven and set over high heat. When hot, brown as many pieces of meat as will fit in one layer without crowding. Turn frequently to brown on all sides-3-5 minutes; remove and set aside until all meat is browned. Pour a cup of the liquid into the Dutch oven, swishing and scraping up any coagulated juices. Add the meat, garlic, and four more cups of liquid to the casserole; fold in the tomatoes, bay leaf, thyme, and salt and pepper to taste. You should have enough liquid almost to cover the beef; add more if needed. Stewing: Cook to a slow simmer, add vegetables, and continue either on the stove or in the oven at 325°F for 2 hours, stirring occasionally, until meat is tender. To finish, thicken stew by stirring in butter-flour paste (beurre manié sauce) to desired consistency. Open bottle(s) of Van Ruiten Family Old Vine Zinfandel, and enjoy a taste of Lodi!